As this week is the final week of school, this will be our final edition of Good Things and The Week Ahead for the 2017-18 school year. There will be a final newsletter coming out this week with notes about staffing changes and some final reminders. 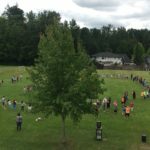 I hope you have enjoyed reading about the awesome things that happen at James Hill each week! 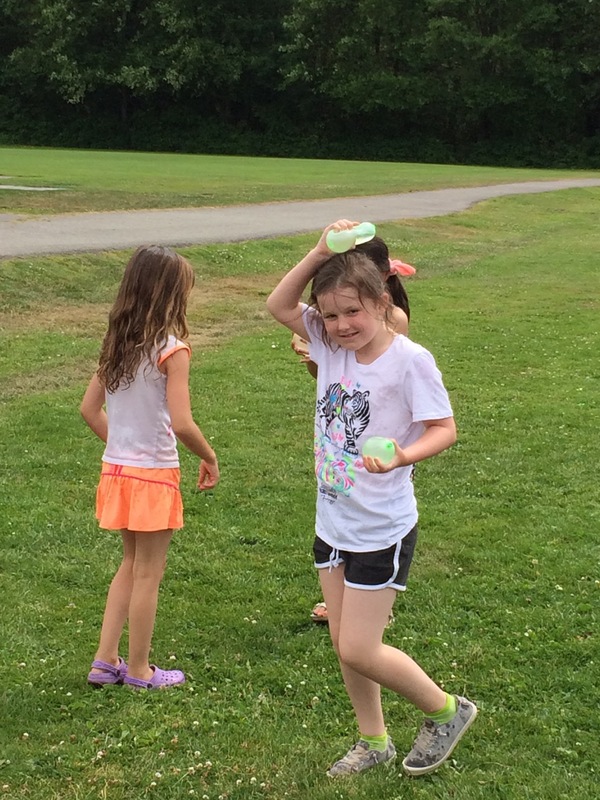 Cooling Down With DPA – Mrs Hobbs’ students beat the heat this past week while also getting in their Daily Physical Activity with a class water balloon fight! 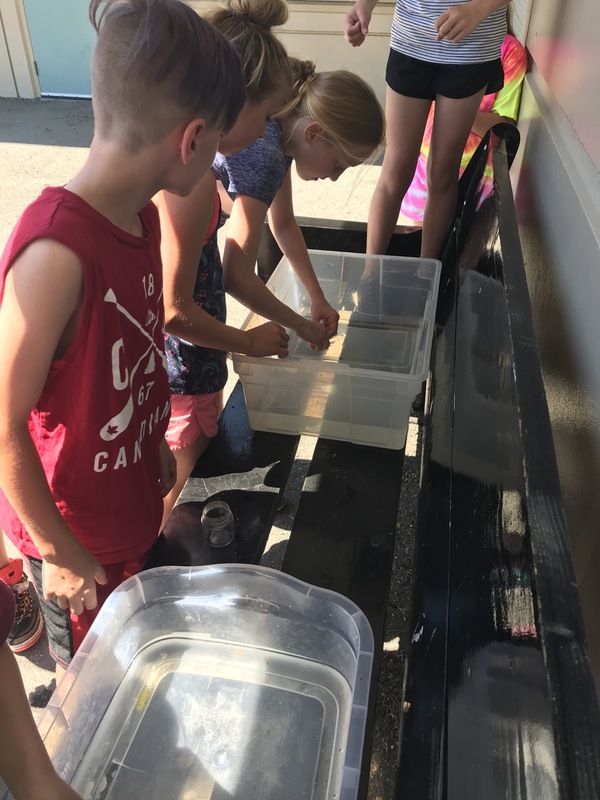 Born to Fly – Mrs Peck, Mrs Coffin, and Miss Baird’s class had such a memorable week this week as they watched their butterflies fly away as part of their butterfly release. 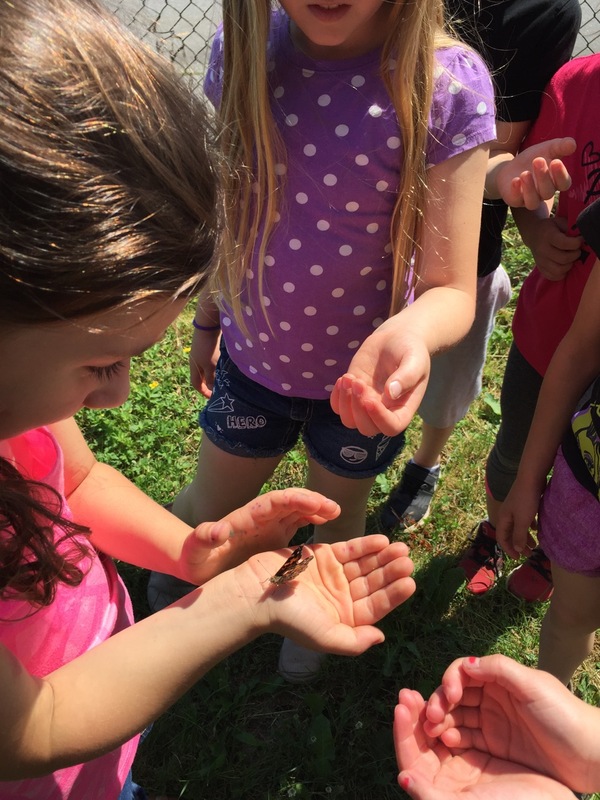 Students were able to have the butterflies stand/land in the hands and for one student, it would not leave… it stayed there for many minutes before taking flight. The release was the culmination of their unit of metamorphosis and life changes. 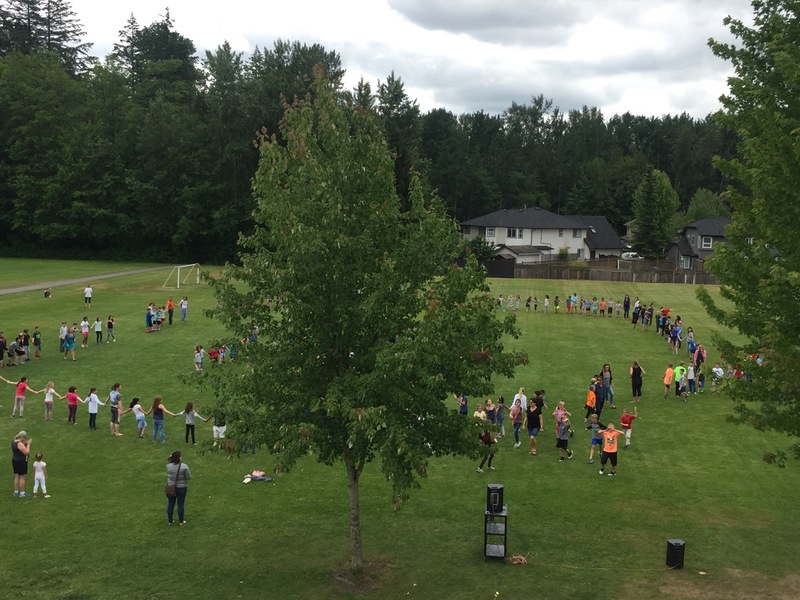 Friendship Circle Dance – Thursday was National Indigenous People’s Day and most of our students headed outside to celebrate this with a massive friendship circle/dance. 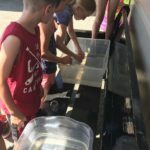 Thank you Mrs Edwards for leading this. Money, Money, Money! 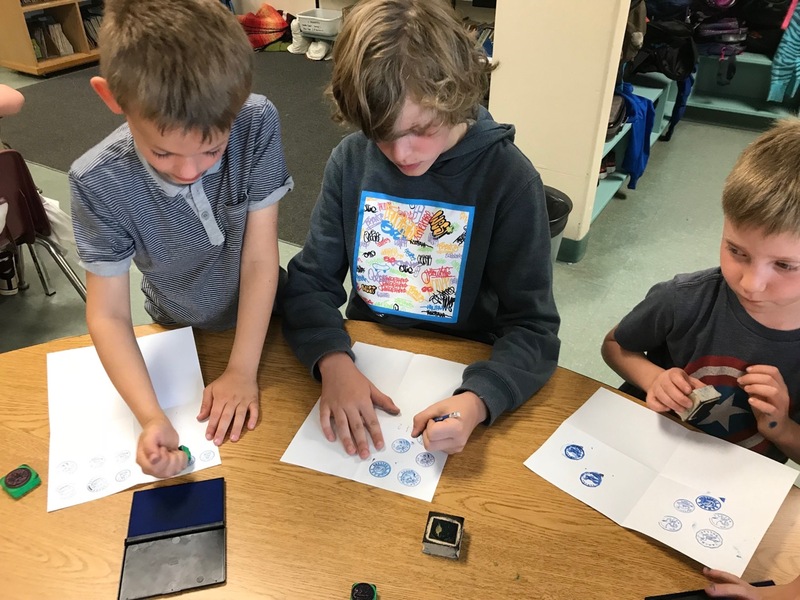 Mrs Kazakoff’s students were building their financial literacy this week as they were learning about the value of various coins. 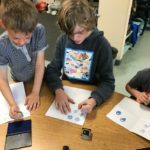 Students were given coin stamps and they had to stamp a variety of coins and then count up the total value. 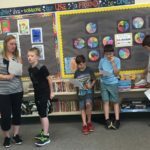 Bringing the Books to Life – Mrs Atwal’s students had a chance to really bring the characters in their reading to life this past week as they participated in some Readers Theatre. What Do We Do With All These Books? 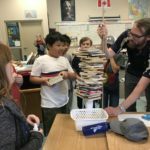 – Mr Graber threw out a challenge to his students to see who could stack the most books on a piece of paper standing up (with only one piece of paper and some tape). 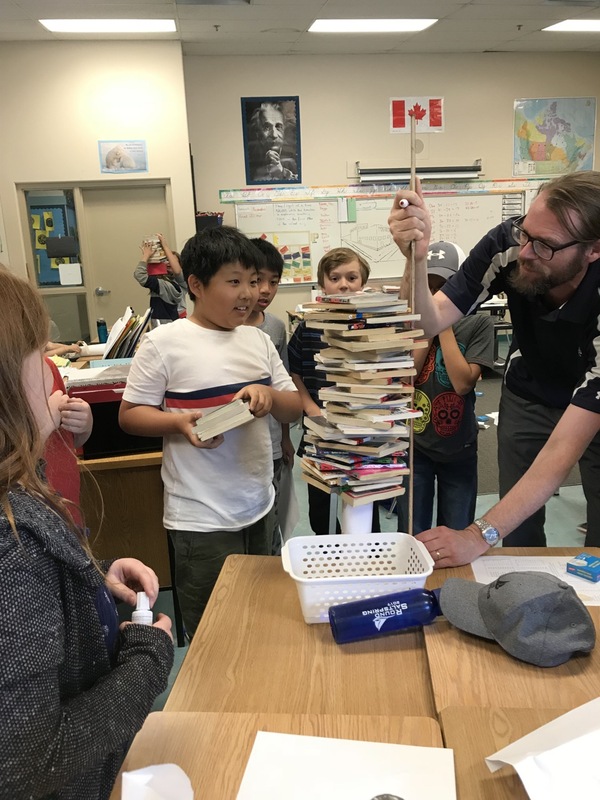 Students had to design and test their prototypes and Mr Graber measured to see who stacked the highest. 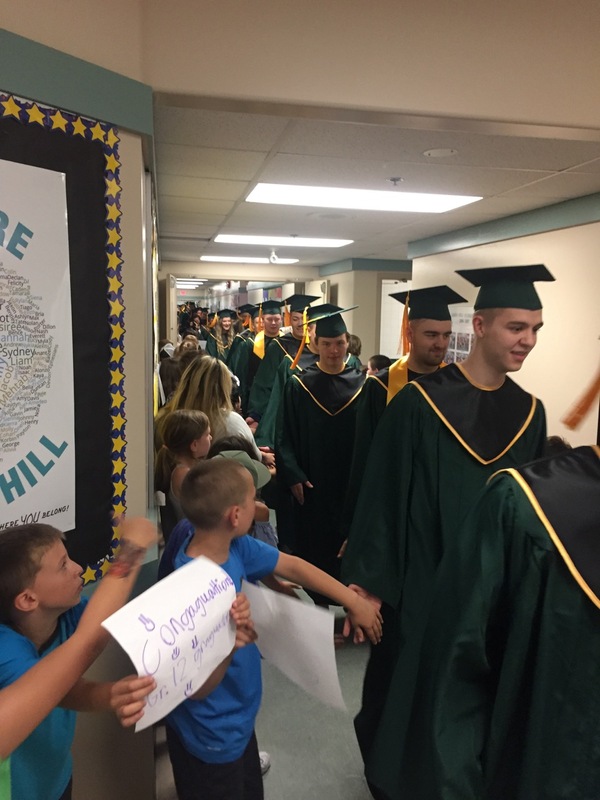 Walking Their Old Halls – The 3rd Annual LSS Grad Walk happened on Thursday as former James Hill Students who are now graduating got to walk the halls lined with our students cheering them on. 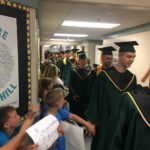 This powerful tradition is a great way to show support and build community… and it is rather emotional for staff to see their former students in their caps and gowns. Congratulations to the Class of 2018! Legends and Stories – There is no better storyteller that comes to our school than Mr Carman Mackay. 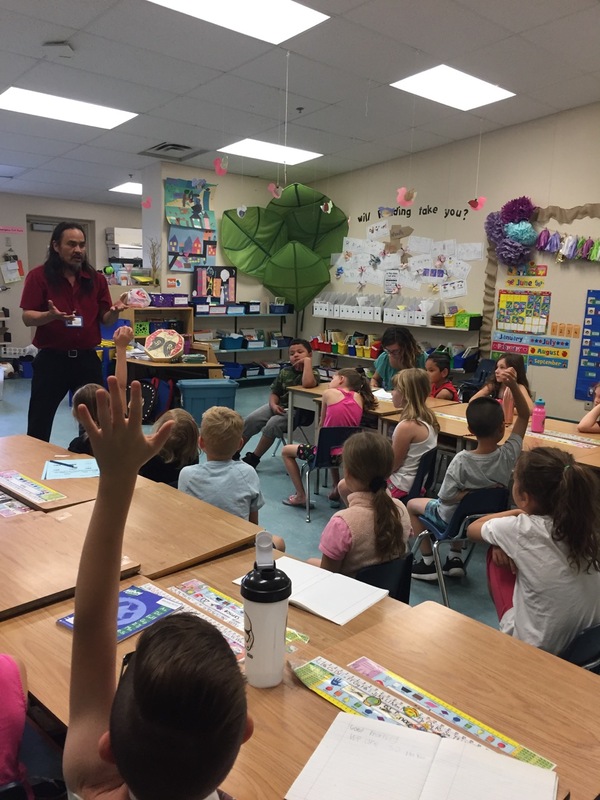 Carman came to Mrs Coffin’s class to share the power of using stories and legends to teach. 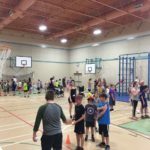 Family Fun – On Tuesday, former James Hill student, Trevor Alcos, and a group of his leadership classmates put on a family fun afternoon in our gym. The students set up a number of games and students then had a chance to win tickets by playing the games. 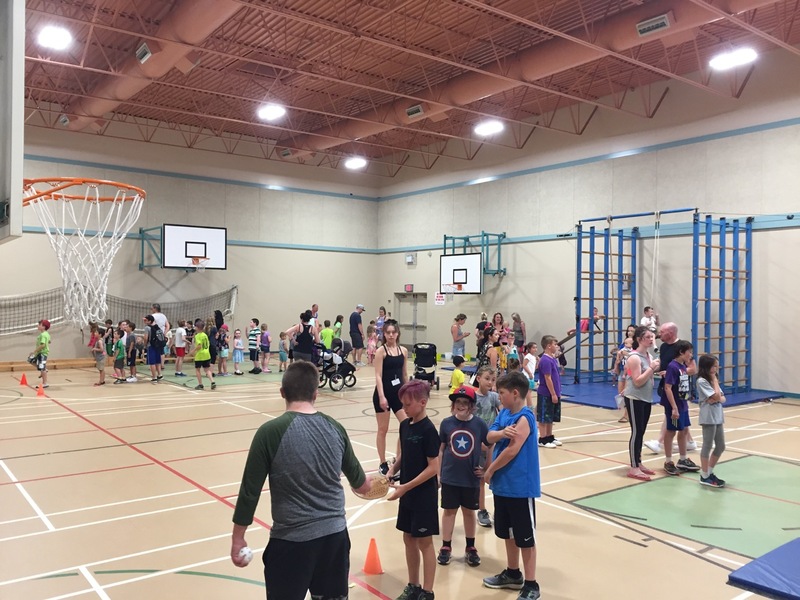 The gym was packed so thank you to LSS students and to all those families who came to support! Learning to Shop? 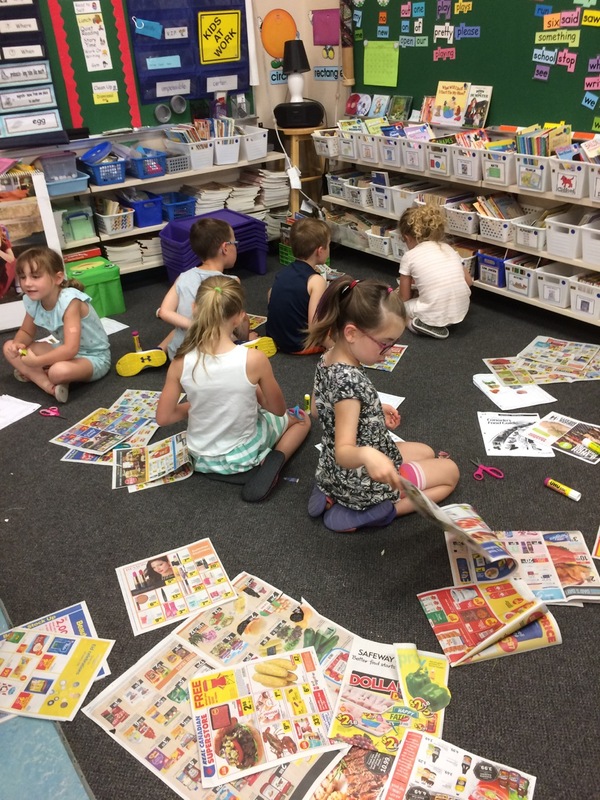 Shopping is definitely a skill but Mrs Peck was focused more on the math of shopping as her students went “shopping” by looking through flyers, choosing the items, and then using their math skills to determine the costs. 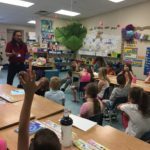 Financial literacy starts young! 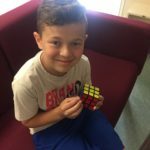 A Cubing Celebrity – Mrs Jankoviak’s son showed up to share what impact practice can have on cubing skills. 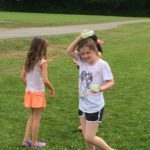 You HAVE to check out the video on Facebook or Instagram… it is NOT in fast motion! 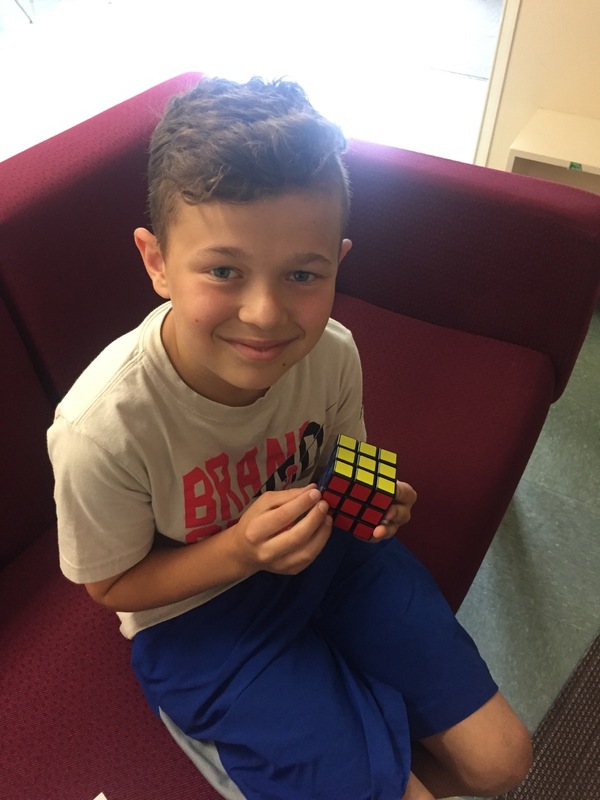 Congratulation to the young man pictured – as he was able to figure out the 3×3 cube for his first time. A Life Saver! Thank you to all those who have donated to our PAC this year. 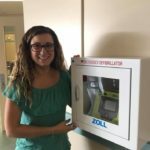 Because of your efforts, we were able to purchase an AED that is now located near the gym in our school. 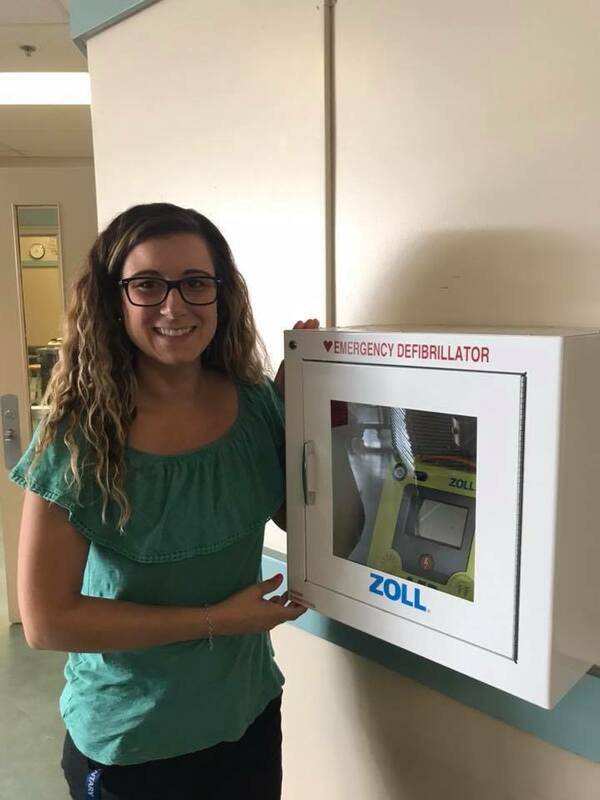 According to St John’s Ambulance, using an AED immediately after sudden cardiac arrest can increase the chance of survival by more than 90%. This device can save a life!!! 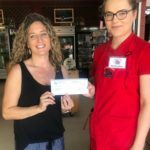 Thank You Dreidiger Farms! Our Breakfast Program leaders, Marg and Gary Deibert, along with our PAC President, Debbie Patchett, volunteered their time last Saturday at the large Driediger Farms Summer Festival Event. 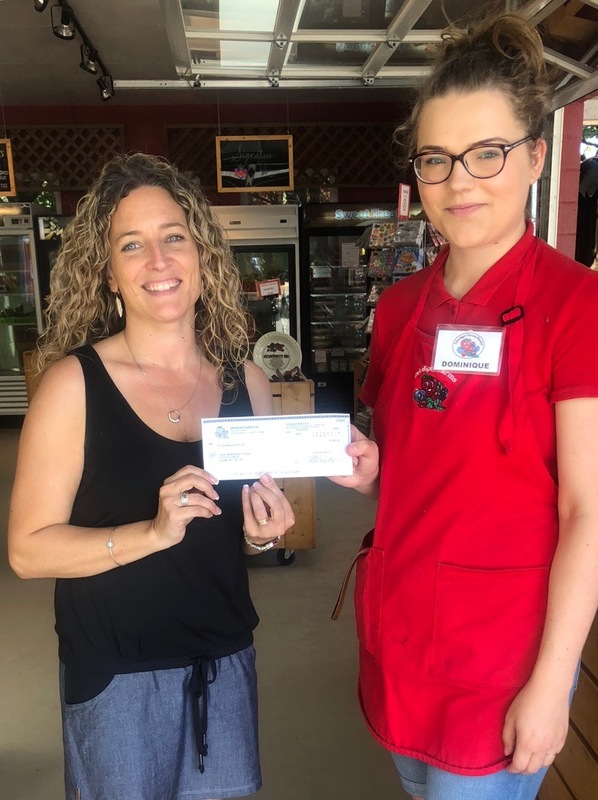 Because of their efforts and the generosity of Driediger Farms, our school received $820 toward our breakfast program! Please note our final day for breakfast is this Wednesday. 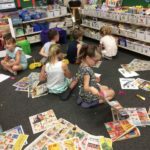 Our highly successful summer book shopping program occurs on Monday and Tuesday. 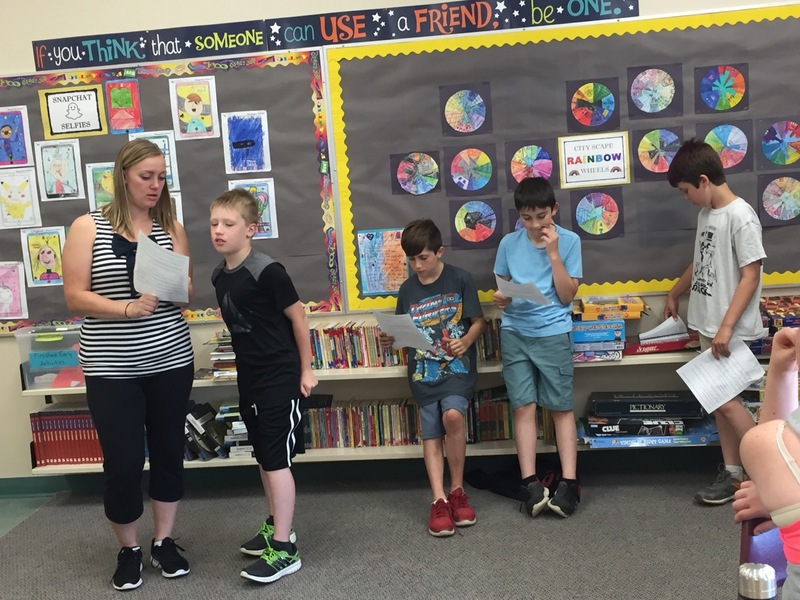 Students will get to go through our library with their class and choose up to 25 books to take home for the summer! Thank you to Mrs Peck and Lindsay Gallichen for all their work with this. Also, thank you to staff and parents who came in to help set up for this exciting event and to all those who donated books! As you go through your books at home over the next few months, please keep in mind that our continued project will be collecting kid-friendly magazines like National Geographic World for kids and intermediate books. (we are looking for graphic novels, Captain Underpants, Goosebumps, Pokemon, Star Wars, Percy Jackson Series, Dog Man, Geronimo Stilton, Dinosaur books). In the primary books, we are looking for Dr. Suess, Robert Munsch, Magic Tree House, and Minecraft. 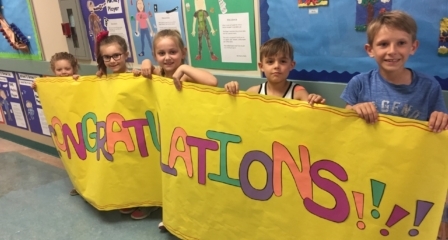 Our Grade 5 Farewell is Monday at 1:30 in our gym. Wednesday is our final assembly of the year where we honour staff who are leaving, give out KM Club medals, and honour our PAC. The assembly begins at 11:00. Thursday is our talent show and will begin at about 9:40 (students will be called down to the gym at 9:30). We will also show a final slideshow of the year and I will share some final words before students head out for summer. Students will receive paper copies of report cards on Thursday. Digital copies will also be emailed out through the parent portal. Final dismissal is at 11:36am on Thursday, June 28. School supply orders must be in by this Saturday. You can read the order info here. Looking for preschool or before/after school care for next year? 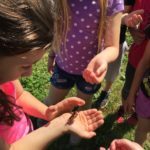 Please contact our new provider: Nurturing Hearts Montessori through their website. Have a great final week of 2017-18!! !